The performance went well and some of us may have begun to hope we might merit a silver award. I’m not sure anyone – except maybe Neil, our Musical Director – dared hope for anything more! Imagine our surprise and delight when it was announced that we are the recipients of a gold award. We couldn’t believe it! The judges said they enjoyed our performances of Eine Kleine Yiddishe Ragmusik by Adam Gorb, October by Eric Whitacre, and Khvarenah: City of Light by Alga Mau, which was actually the winning entry to our composition competition back in 2015. They noted that we are a diverse community group and that our pleasure in playing music together was evident. The written comments included phrases such as ‘plenty of style’, ‘nice atmosphere’ and ‘good tone colour’. We couldn’t be more pleased! As if that wasn’t exciting enough, we have been invited to play at the national event at the Royal Northern College of Music in April. We are really thrilled to have this exciting new experience to look forward to. Don’t forget that your next opportunity to hear your gold award-winning band in concert is at 4pm on Saturday 15th December at St. Michael and All Angels’ church in Abingdon. 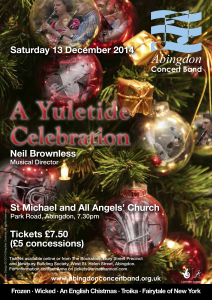 We look forward to welcoming you to our Abingdon Christmas Carol. Our wonderful summer of music making at Henley, the Abingdon Airshow and the Nag’s Head pub is already fading into memory, but never fear, we are busy preparing more musical delights for you to enjoy! For the moment we are eagerly anticipating our return to the National Concert Band Festival in Cheltenham on 25th November. We’re excited to get some feedback from critics instead of our regular audience who know and love us! We hope the adjudicators will love us as much as you do! From November we’ll also be starting to get ready to entertain with our twist on Dickens’ classic A Christmas Carol, which we will punctuate the only way we know how – with some rousing seasonal melodies! We are really looking forward to seeing Ben Morel-Allen dressed in his finest Victorian garb, to bring the tale to life alongside our soundtrack carefully selected by our MD, Neil Brownless. Making plans for the summer! This summer you’ll have some chances to hear Abingdon Concert Band out and about, playing favourites for all the family. Try a different day out at the Abingdon Air & Country Show on 6th May. This year’s event will celebrate 100 years of the Royal Air Force. We’ll be playing Dam Busters, that’s for sure! At Henley Mill Meadows on 23rd June, spread out a picnic blanket and let us entertain you as you watch the boats. Picture a sunny afternoon on 14th July in the Nag’s Head pub garden in Abingdon, with something refreshing to drink as you listen. We’re talking to our good friend Jim at LoveBeer, hoping he might brew us some more Hornblower. Check out the Hornblower story here, if you missed what we got up to last summer in our 40th anniversary year. Check our events calendar cloer to the time for further information including times. We look forward to entertaining you on a sunny day before too long! We’re currently working hard on an entertaining programme of music to take you on a journey through space and time, featuring plenty of recognisable favourites for you to hum on the way home. See our Events page for more details. This one promises to be popular, so snap up your tickets online at Eventbrite, or pop into The Bookstore or the Newbury Building Society. Abingdon Concert Band, in partnership with TradeWinds, are delighted to announce their inaugural Composition Competition. Prize money for the competition is supported by a legacy left to the band by Robert Eccles, one of the founding members of the Band. The winning composition will also be published and recorded by TradeWinds if it is of a suitable standard. Compositions should be between 3 and 10 minutes in length and should be emailed as a Sibelius or XML file to: composition@abingdonconcertband.org.uk by Sunday 13 December 2015 along with the composer’s name, email address and telephone number. See the full rules below. Compositions must be between 3 and 10 minutes long. Compositions will be judged by Richard Phillips (Composer and Editor of TradeWinds), Tom Davoren (Composer) and Neil Brownless (Musical Director of Abingdon Concert Band). The judges decision is final. 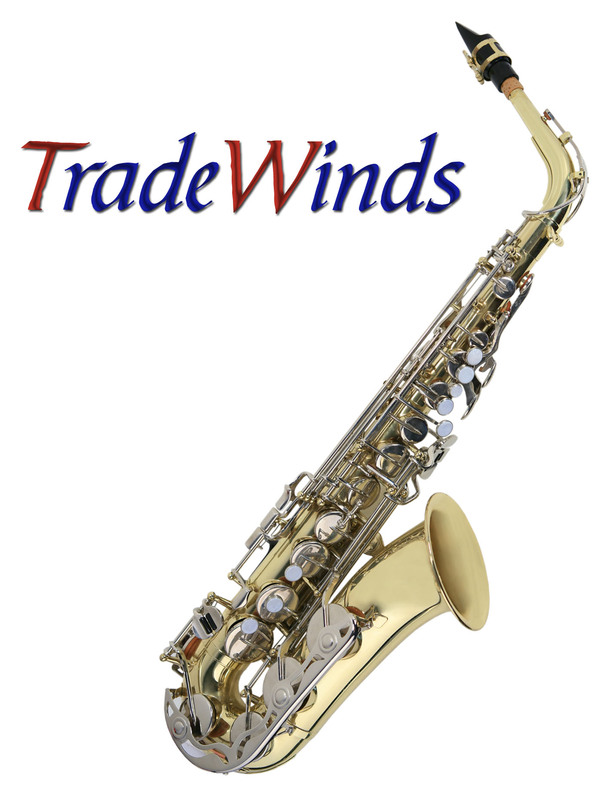 1st Prize: £600 plus the composition will be published and recorded by TradeWinds if it is of a suitable standard. 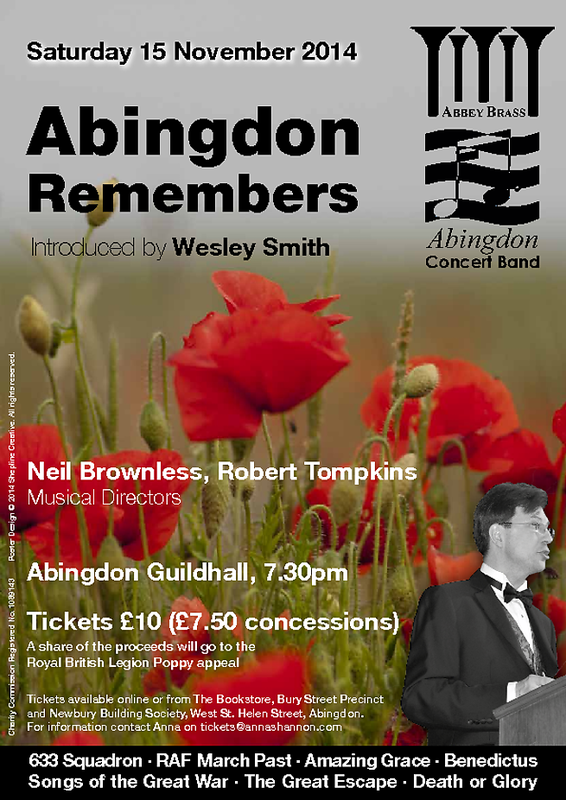 The top three pieces will all be performed by Abingdon Concert Band at a concert in June 2016 where the winner will be announced. Compositions should be emailed as a Sibelius file to composition@abingdonconcertband.org.uk by Sunday 13 December 2015 along with composer’s name, email address and telephone number. The top three composers will be notified by 31 March 2016 and invited to the concert where the winning composition will be announced. Submitted compositions may not already be published works. The Abingdon Concert Band and musical director Neil Brownless raised the roof at the Cornerstone Arts Centre in Didcot on Saturday 27 June with our summer Proms Extravaganza concert. An excellent and varied programme included a world premiere of Unsung Heroes, commissioned by the band in memory of a founder member and bassoonist Bob Eccles. Written by up-and-coming Welsh composer Tom Davoren this fine and melodious piece is well suited to the rich brass and woodwind sound of the concert band, and a great addition to their repertoire. The evening also featured guest soloist Richard Bates performing the virtuoso trumpet concerto of Hummel, with the band giving a lively impression of an eighteenth century string orchestra. He also entranced the audience with his lyrical rendition of Philip Sparkes’s Flowerdale on soprano cornet and the Salvation Army favourite Share My Yoke on flugelhorn. The evening closed with a series of Proms favourites including Fantasia on British Sea Songs, Jerusalem and Pomp and Circumstance complete with enthusiastic audience participation. A rousing finish to the mark the band’s first visit to Cornerstone. Catch us next back in Abingdon at the Yolande Patterson Hall on 12 December for our Christmas concert, this year presented jointly with Abbey Brass. Tickets for our ‘Proms Extravaganza’ concert at Cornerstone in Didcot on 27 June 2015 are now available from the Cornerstone box office on 01235 515144 or online at www.cornerstone-arts.org. Composer Tom Davoren has quickly developed an international reputation as an exciting brass-wind composer. Abingdon Concert Band and guest trumpet soloist Richard Bates present the world premiere of ‘Unsung Heroes’, a piece specially commissioned by Abingdon Concert Band as part of a rousing programme that also includes O Magnum Mysterium, Hummel’s Trumpet Concerto, Toccata and Proms Favourites. Come along to our annual Playing Day on Saturday 7 February 2015 when members of the band are joined by other local musicians to spend a friendly and informal day playing a range of music for wind orchestra together. Find out more. Tickets for our Christmas concert on Saturday 13 December 2014, are now available from the Newbury Building Society, West St. Helen Street, Abingdon, or the Bookstore, Bury Street Precinct, Abingdon or by e-mail from tickets@annashannon.com. Tickets are also available to purchase online from Eventbrite.